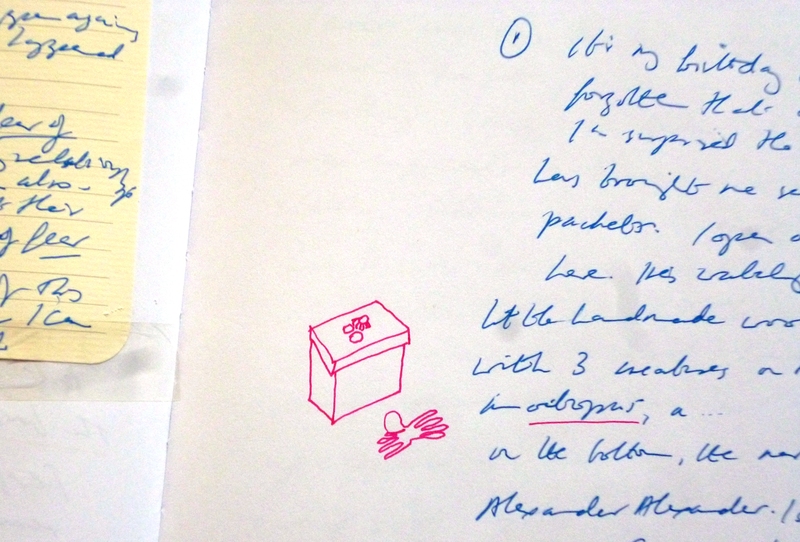 Last year, I was writing about recycling as part of my new children’s non-fiction work on helping the planet. As we go into this new year, I’m thinking about recycling again, but this time about recycling writing. There are lots of ways I do this, and if you haven’t been doing it too, you might be missing a trick. Another story I wrote for younger children was about a rabbit. My agent liked it and sent it out, saying that with any luck we might find a publisher that had a ‘rabbit-shaped gap.’ Rejections don’t always indicate that your work is just not good enough. Then, there’s writing for different readerships. 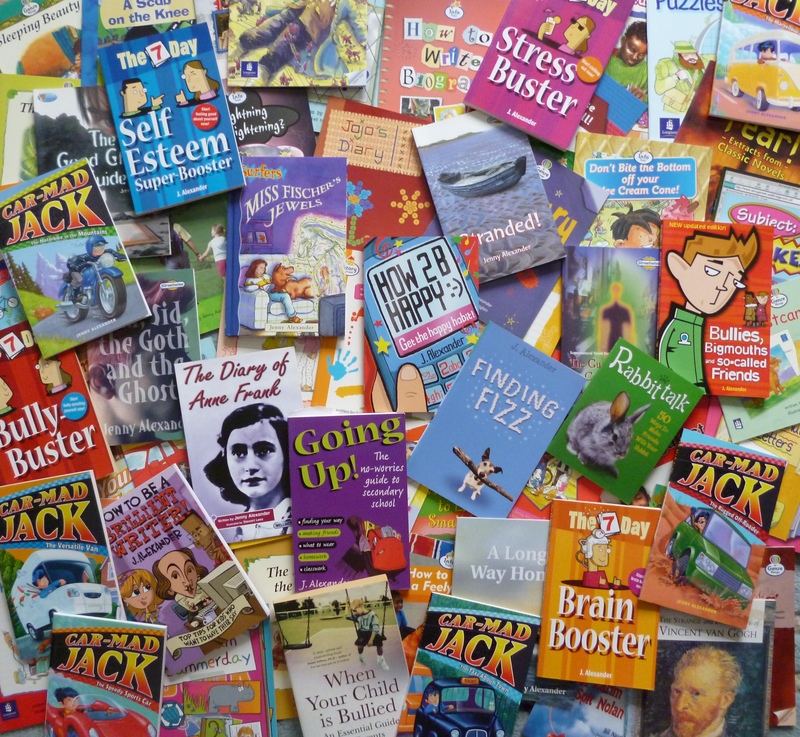 A lot of non-fiction topics can be adapted for children as well as adult readers , and within that for different ages of children. Stories can sometimes be adapted for different kinds of reader by switching the point-of-view character and seeing the situation through their eyes. You can also write about the same non-fiction topics for different levels of expertise, from beginners to readers with a similar level of knowledge and experience to your own. Finally, there’s recycling ideas across different genres. When I’m in the zone with a theme, I usually develop fiction and non-fiction around it at the same time. I always submit magazine articles on the themes of my books as well; they’re easy to write, once you’ve got your ideas clear in your mind through writing the book, and they also help to promote it. Because this has always been my natural approach to writing, I like to mix things up in my workshops too. That’s where the idea for Free-Range Writing: 75 Forays for the Wild Writer’s Soul came from. To take that book as an example of recycling, I’ve gone on to write articles about free-range writing for several magazines and now I’ve got a regular monthly column in Writing Magazine, called Free-Range Writing Through the Year. At the time of publication, I issued an ebook taster, with the idea that people might buy and try, and then go on to get the book itself, but that didn’t sell. So I withdrew it from sale, adapted the introduction and end pages, and recycled it into a lovely little stocking filler, A Little Gift of Free-Range Writing. I’ve also written a talk about being a free-range writer and a free-range writing workshop, that I’ve been touring round the UK. If you write about things that matter to you, then once you’re in the zone, you’ll find there are all kinds of possibilities for the themes and stories you are developing. Writing for different readerships will help you build your profile too. For example, one of the things I’m known for is writing about bullying, because I’ve got fiction, non-fiction and articles about bullying out there aimed at children of all ages, teachers and parents. So whenever you find a subject that engages you enough to write one piece about it, think about how you might develop and recycle your ideas. It makes sense, both economically and creatively. Are you already recycling writing? If so, I’d love to hear about it in the comments! 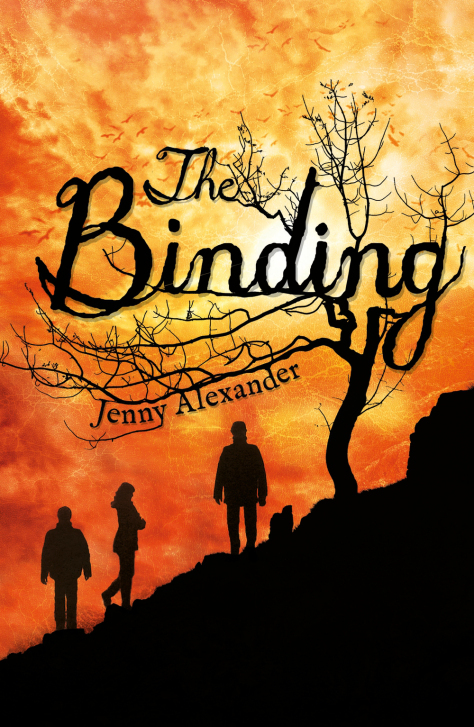 Today is publication day for my latest children’s book, The Binding. I started thinking about the idea ten years ago, after witnessing an unsettling incident in a remote part of Scotland. I was walking past a ruined crofter’s cottage when I heard a commotion inside and went to see what was going on. I found four children, out of breath and flushed with excitement, the biggest one grasping in his fist a baby bird. They flashed each other a guilty look, before the big boy rallied, took the chick to the nearest window and opened his hand. It fell to the ground. We all knew that wasn’t what they were doing, but the bird was free now, and I stayed there watching it limp away to the nearest cover while the children ran back towards their houses. I got to thinking, how would it be for a child to live in a place where there were few other children, and virtually no adult supervision? My big sister was in charge of the meeting. She it was who made the box which contained all the secret business of the meeting. She decided the tasks and set the penalties. On the less serious side, we had the mischief club, where I was in charge, being the second oldest, but it burnt out long before the meeting because it didn’t have the same magic and I lacked the power to hold it together. My own childhood memories, stories other people had told me and new fantasies were called into my mind by this seed idea, and transformed in imagination to fit into it. I love this process. It makes me feel energised and happy. And when, as occasionally happens, it also grows into a publishable book, well that’s just the icing on the cake. 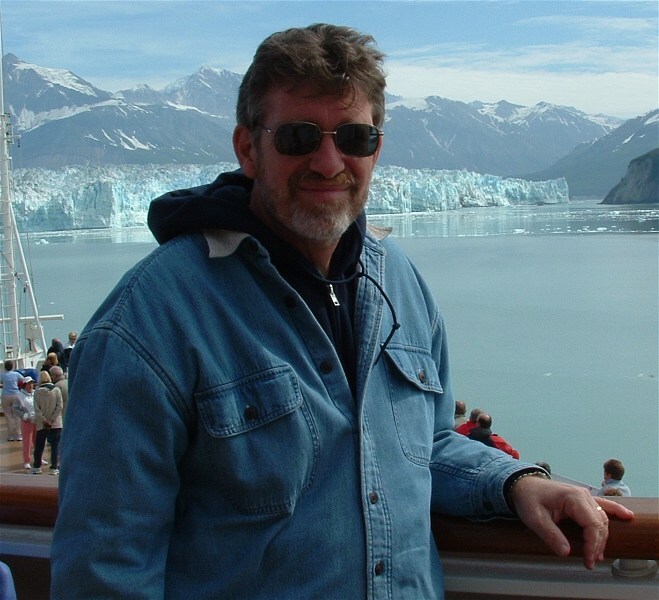 Then he outlines the advantages for authors in keeping a dream journal, which boil down to inspiration, breaking through blocks and seeing the world differently. I couldn’t have put it better, but there are a few things I might add about the dream journal itself. 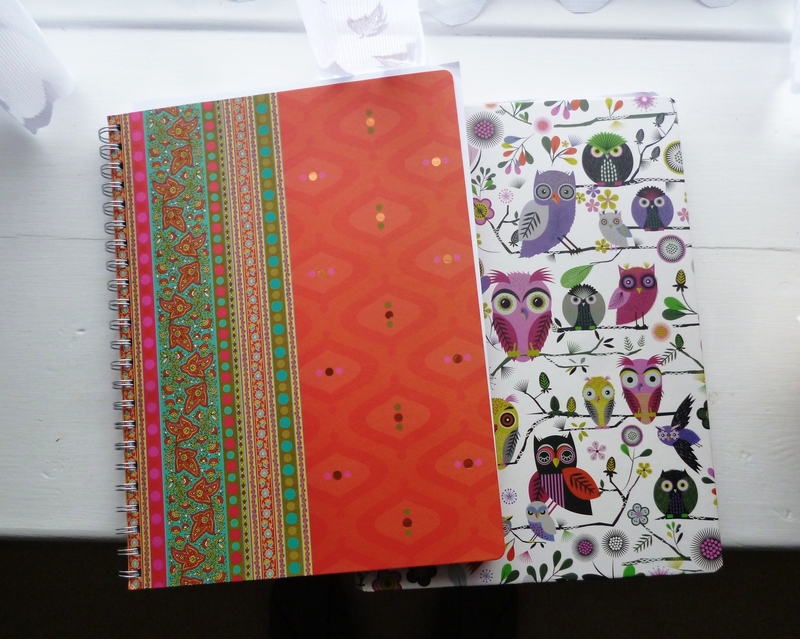 My two most recent journals – they have to look and feel beautiful! When I first started recording my dreams over forty years ago, I wrote them in school exercise books, just the dreams, packed together with no extra content except the date. I’m not knocking it – that’s all you need in order to establish great dream-recall. Then I studied dream interpretation using the Western psychological model, and began to include some brief details about what was going on in my waking life, so in effect my journal recorded two parallel lives, waking and dreaming. This threw up some real insights into how both dreams and waking life work, but I wouldn’t necessarily recommend it if you’re looking to use your dreams as a creative resource. Interpreting comes naturally with experience, in the same way as experience of life deepens our understanding, but if we approach dreams with this primary focus it’s easy to lose the bigger picture. Understanding dreams only as expressions of the waking life would be like understanding every piece of fiction you write as autobiography. It might be, but if you examine that too closely you can lose sight of the story and its own life. This may sound like a mess, but it’s actually rather lovely, because I use different colour gel pens for the various different kinds of entry. It may also sound like a major commitment of time but it isn’t. The only regular writing I do is the dreams – all the rest is random, and I’d be doing it anyway, only previously it was scattered about in various nooks and notebooks. Pulling it all together means it adds up to a rich and satisfying record of my life, both inner and outer, which seems to provide a rich seed-bed in which my various writing projects can easily root and grow. Are you a proper writer? Years ago, I was on a Society of Authors retreat at Totleigh Barton, the Arvon centre in Devon. It wasn’t a taught course, but an opportunity to explore our writing ambitions as a group and with individual tutors. The group was made up of successful authors from every area of writing – medical books, Black Lace, children’s fiction, ELT, poetry… Without exception – well, except me, because I wanted to have a go at poetry – they all harboured a secret ambition to write a literary novel. They said they wouldn’t feel like a proper writer unless they could achieve it. Him: So what are you working on at the moment? He gives me a disparaging look. I give him an enquiring frown. Him: Well, it’s second grade, isn’t it? Educational books are never so good. I was cross and astonished. I’d written for both trade and education, and had always given both my absolute best. I was the same writer, whatever I was writing. Until that moment, it had not occurred to me that mainstream authors might look down their noses at educational writers; they were just different kinds of writing, and demanded different skills. I had taken, and still take, a holistic view of writing, rather than a hierarchical one. I write all kinds of things for publication and for my own entertainment, including childrens’s and adults’ fiction and non-fiction, educational books, self-help, poetry, magazine articles and blog posts, and every single line I write feels fruitful and worthwhile, whether it finds a publisher or not, because it is helping to develop the writer that I am. Of course, you could say I simply lack focus! The holistic approach makes for a joyful writing life. You aren’t trying to hit goals set by the market, or other people’s judgements. You’re open to experiment because the goal is self-discovery, and every new discovery involves an element of adventure. That’s how I view my writing life – I’m a proper writer simply by virtue of the fact that I write, as are all the people who gather round my table for writing workshops. How about you? Are you a proper writer, and if not, what would make you feel as if you were? We can analyze our dreams for what they say about us, fear them for what they might mean, take them for more than they are, merely enjoy them or follow them into the worlds where they may take us. My book “Flying with Fairies” is this last. Born of a single brilliant full-color image, the first chapter turned into a second and then into a novel and then into a series. This book was a departure from what I had written previously and is unlike anything I have written since. But then, the dream that inspired it stood out from the other dreams for its visual clarity and symbolic obscurity. It was an opportunity to be exploited and a challenge to be faced. It spoke of pleasure and of hard work at the same time. “Gatorbait”, a short story published in a Florida based regional publication, was also based on a single image. Where “Fairies” was based on a mid-air collision between a fairy and a flying human, “Gatorbait” was based on a young rodeo competitor and her flying horse. I have a first chapter of a spy thriller that was so completely formed in my mind when I woke up, I could wait two days before writing it down. I have no idea what I will do with that chapter, but it’s there in case of whatever. Everyone dreams, but remembering and exploiting dreams takes a willingness to step into a place where few of us are comfortable going. If you wish to write, go there. Take the risk. Exorcise the demons by writing them down and capturing them on the printed page where they can no longer do you any harm. Do not work for your dreams. Make them work for you. My thanks to Bob for this glimpse into a wonderful dreaming and writing life, and for his insightful comments about exorcising personal demons by capturing them on the printed page. How do you make your dreams work for you?